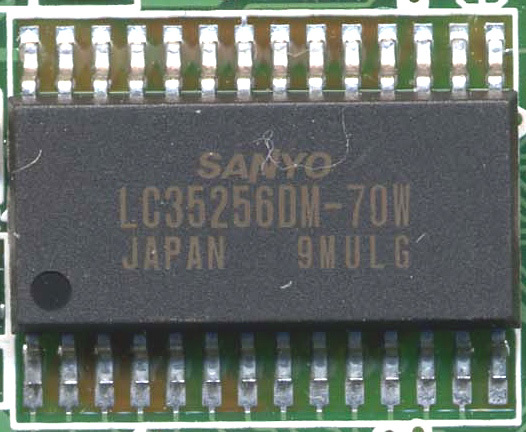 Technical information about this processor. 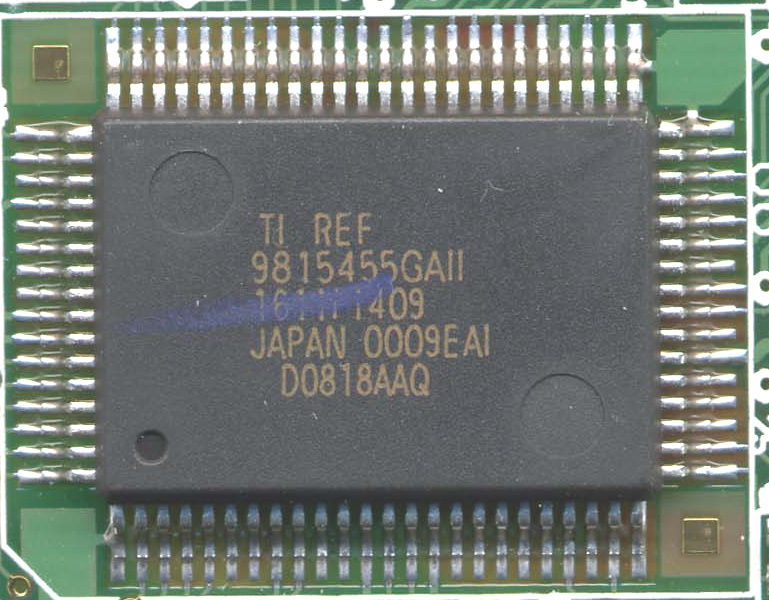 This page only presents very general info about TI 83+' RAM, for more details concerning its operation please refer to the manufacturer's documentation. Got some info I don't about this SRAM chip ? Mail me ! 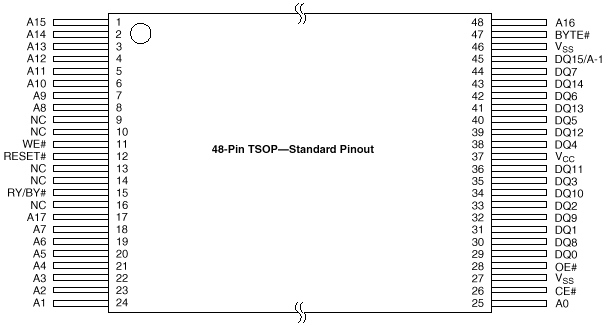 More information about this SRAM chip coming up...Here they are.. Here are some very general info about the TI 83+ FlashROM, for more details on its operation, refer to the manufacturer's manual. Power supply : 5V ±10% This is why it is not recommended to operate your calculator if your batteries are below 4,5V, even though the 1.13 AMS version is more stable under low battery conditions. 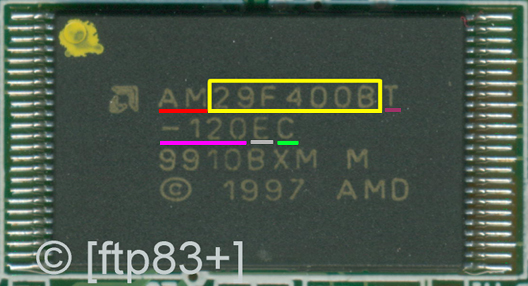 Got some info I don't about the FlashROM chip ? Mail me ! 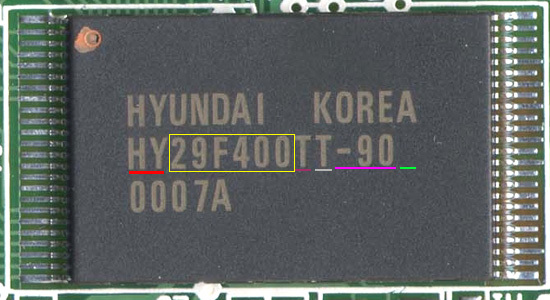 Framed in yellow 29F400: chip reference, with F corresponding to the operating voltage: 5V, here.